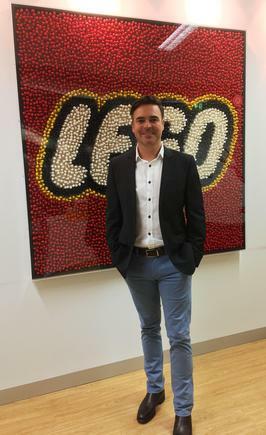 Lego Australia's senior director of marketing, Troy Taylor, has clinched the general manager role across the group’s Hong Kong, Taiwan and Macau businesses, a post that sees him building brand awareness and striving to put more bricks into the hands of children at a time of digitisation and shrinking physical play times. Speaking to CMO following his regional promotion, Taylor said one of the biggest trends the company must face is the digitisation of toys and children’s viewing habits versus playing with a tactile product such as Lego. “How do we continue to cut through in an age of digitisation and heavy screen time?” he asked. “There’s a move towards digitisation and a big push towards children having less time to play - and when they are playing, they are spending a lot more time on screens. But there’s an opportunity for our brand because we can blend the physical and digital play together. As GM, Taylor will lead operating sales, marketing and logistics and relocates to Hong Kong in May. The remit is to grow the brand in the Asian market. “It is a huge area of opportunity for Lego as we try to reach more children with our brick, and it has certainly been identified as an area for Lego where we can do a little bit more than what we have today,” he said. Taylor saw his main challenges in the new role as learning a new market and different consumer group. “They are very different to the Western consumer. It is a highly competitive market in Asia,” he continued. 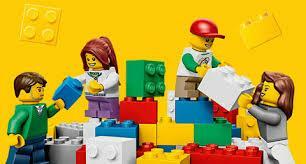 Taylor has been with Lego for 15 years and first started as a field sales representative in 2002. He worked up to key account manager, senior national account manager, and director of sales, before nabbing the director of marketing and senior director of marketing roles. He also did a two-year stint in the US as director of customer development. The latest move overseas is the next logical step in his “exciting adventure” with the company. Taylor said his past experiences across a wide variety of functions, and particularly sales posts across mature markets, has given him key insights and learnings that will hold him in good stead for the regional GM’s post. “Coming from more mature markets, I understand the brand very well and understand what it takes to grow the brand in a sustainable way because Lego certainly has a way about how we like to grow the brand and how we go about our business,” he said. While the digitisation of toys is a global trend, the Asian market focus is more about the educational benefits of play, Taylor said. “In the Asian market, education is certainly high on parent's’ agendas, and making sure children are getting a very good education and that they are learning. That’s where Lego has an advantage because our toy grows with the child,” he said, adding the product covers all ages and stages of the children's lifecycle. Although Taylor is excited to move into a broader customer role and deal with retailers and consumers on a day-to-day basis, he will miss the creativity aspect of the day-to-day marketing role, where he was able to hatch a plan and see its value as he brought it to life. He cited a memorable campaign, ‘Build your Lego Christmas’, as a case in point. Taylor is also proud of the more recent digital campaign around Australia Day, dubbed ‘Build Australia’. “It was using our own channels to encourage Australians to build their iconic piece of Australia and submit it up on a virtual map so you could actually see your build featured on a virtual map,” he explained. Commenting on Taylor’s promotion, Lego Australia general manager, Claus Kristensen, agreed the ‘Build your Lego Christmas’ campaign was significant, and praised Taylor for his work on that particular project. The campaign earned numerous awards for the brand, culminating in the Marketing Team of the Year award from the Australian Media Federation. Kristensen also highlighted Taylor’s work in steering the local marketing team at a time of evolving consumer and market demands. “In his most recent role, as senior director of marketing, Troy has helped restructure and build both the marketing team and our local marketing strategy to cope with the ever changing demands of the media and consumer landscape,” he said in a statement. Taylor’s Asian promotion comes on the heels of a global company restructure in April at the executive leadership level, which the company said replaces the management board and will play a critical role in the further globalisation of the Lego Group. The new-look global executive leadership team consists of seven members: Bali Padda, president and chief executive officer; Ulrik Gernow, chief business transformation officer; Julia Goldin, chief marketing officer; Marjorie Lao, chief financial officer; Carsten Rasmussen, chief operating officer; Loren Shuster, chief commercial officer; and Padma Thiruvengadam, chief people officer.